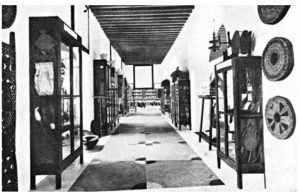 This article argues that the Somali people have a distinctive view on heritage and a different approach to its preservation relevant to their society. It suggests that a locally appropriate theoretical framework for heritage management and archaeological research can only be achieved if this local approach is taken into consideration and integrated into archaeological and heritage methodologies. The lack of qualified Somalis and indigenous perspectives in the archaeological research and heritage management policies characterizes Somali cultural heritage and archaeological research history. This research shows that previous approaches that have been pursued lacked dialogue and incorporation of local views of heritage practice. This lack of dialogue has been of paramount importance for the failure of the preservation of Somali cultural heritage, evident both in the previous neglect of its preservation and in the current looting and destruction of archaeological sites in Somaliland, Puntland and south-central Somalia. It is demonstrated how Somali indigenous perspectives are concurring and contributing to world heritage management and archaeological research methods. I suggest that any heritage work must integrate local approaches and trained local groups should lead archaeological research and heritage management in order to achieve sustainable development and self-representation.